“There can be no greater service to mankind, and no nobler mission, than devotion to world peace.” Harry S Truman 33rd US President. February is Peace and Conflict Resolution Month. Much is being done around the world by Rotarians and Rotary Clubs under this banner. In fact, just about everything we do as Rotarians to make the live of others better comes under this banner. Peace and Conflict Resolution is not just an International issue, it is also one that affects us in our daily lives. Conflict within families, our work places and in our Rotary clubs can be so counterproductive. What might seem like a trivial issue to one person can be of great importance to another. We all need to take a step back at look at the other person’s point of view and sometimes the issue will resolve itself, if not there is much help available especially for Rotary clubs just ask for the help. The Rotary Peace Centre has just today launched the 2020 Peace Fellowship Applications and a new self-learning course called “All about the Rotary Peace Fellowship” can be found in the Learning Centre on the Rotary International Website. I encourage you all to have a look at these two new initiatives. Lots has been occurring in the District since the last DG Newsletter in December, in fact if I listed everything, we would never see the end of the newsletter. Club are asked to review the PowerPoint Presentation sent to Presidents in December regarding the “New Districting” Concept and discuss the proposal. We will be having a District Meeting with all Presidents and Presidents elect in April to discuss this proposal and to take the club vote on whether we proceed with the conversation or not. 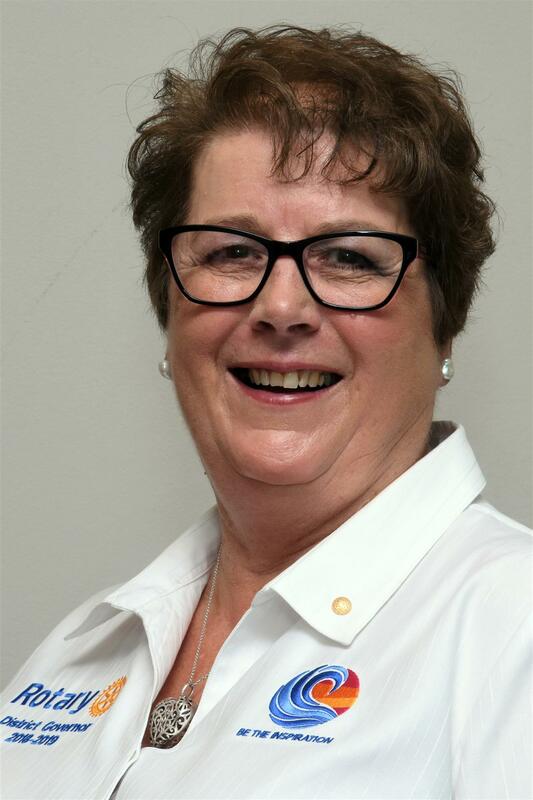 District Governor Elect Kalma has returned from her trip to the USA to attend District Governor training and is about to start her own round of trainings for the incoming Presidents and their teams. I ask you all to support these important district events. The better informed we all are the easier it is to do good in the community. The Drought Appeal is continuing to be supported by clubs around the District and many thankyou letters are starting to appear in club bulletins from grateful country folk. Let’s hope that some of the heavy rain that is falling in the northern parts of Australia now can assist those affected by drought. Visits to country centres is still a really great way of supporting a community as a whole. I encourage all clubs to consider this social activity option. It is a win win for everyone. 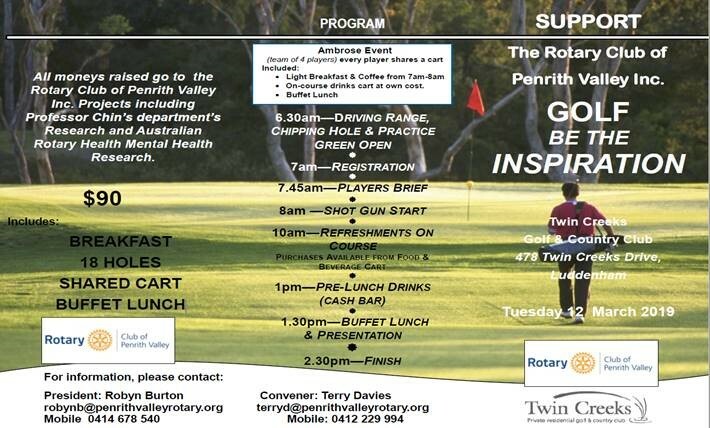 There has been a RAWCS Appeal launched for the Townsville Area and the details for that appeal will appear in another part of this newsletter. John and I continue to travel around the District and have been delighted to be invited to attend club and District events. RYLA and Summer RYPEN have just concluded and what great events they were. Congratulations to the hard-working organising committees. Speaking about hard working committees the Conference Committee is now in high gear working towards making the 2019 District Conference INSPIRATIONAL. 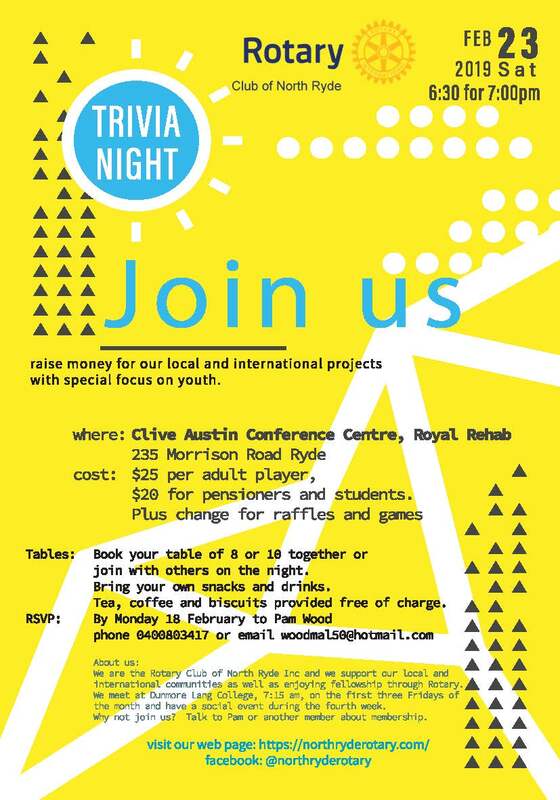 Please think about joining us in lovely Newcastle for this annual and fun Rotary event. 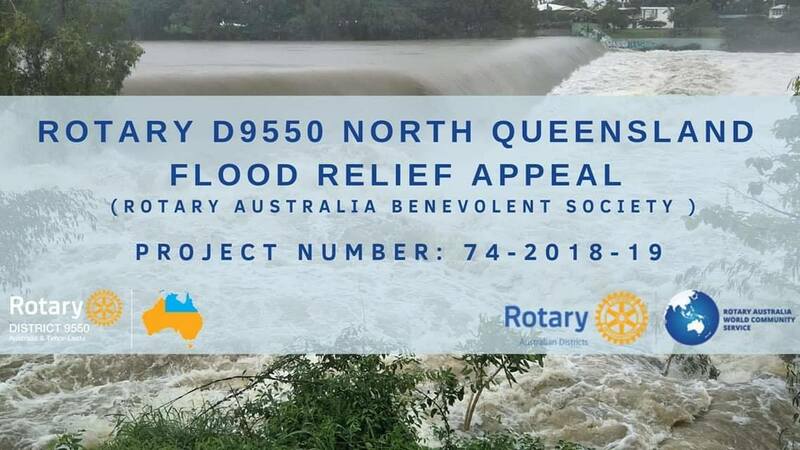 “D9550 North Queensland Flood Appeal”. As I have previously advised over the past year, most Rotary International rules are created or changed by district representatives from around the world meeting once every three years and voting on enactments that have been submitted by clubs and districts. So we, the club Rotarians are responsible for the rules; not RI or "Evanston". It is therefore up to every Rotarian to participate and voice our views. I will be voting on behalf on D9685 in April in Chicago at the Council on Legislation. Many of the proposed enactments are not relevant to our district or to our zone; others are very relevant, such as an enactment to make Rotary magazines an optional part of our membership. This is likely to result in the demise of many, if not all of our regional magazines. Another proposed enactment is to ensure we record our volunteer time, and another to stop mandatory reporting of attendance. (this does not stop the clubs recoding attendance). I will shortly be sending a list of enactments that I think are relevant to our district or to the world of Rotary as a whole. The link below will provide individual Rotarians with the option to personally support or object to proposed enactments. All of the proposed enactments are on the RI website. 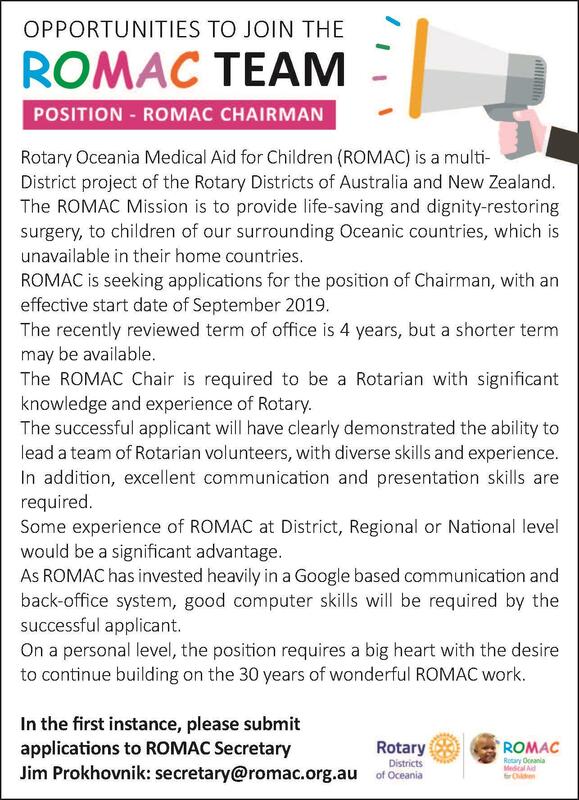 In this way all Rotarians can influence the final decision. Statements of support and opposition are due by Thursday, 14 February 2019. Statements will be shared with all representatives prior to the Council. 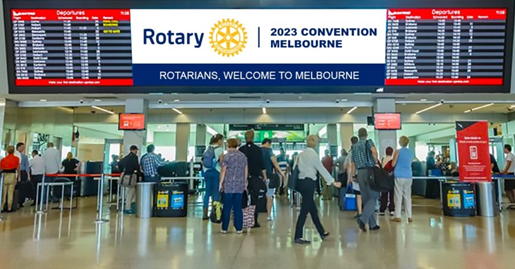 Clubs and district conferences should submit their statements of support, opposition, or general comments regarding legislation using the online form here: https://rotary.qualtrics.com/jfe/form/SV_3z84O8VkGe5J1oV. 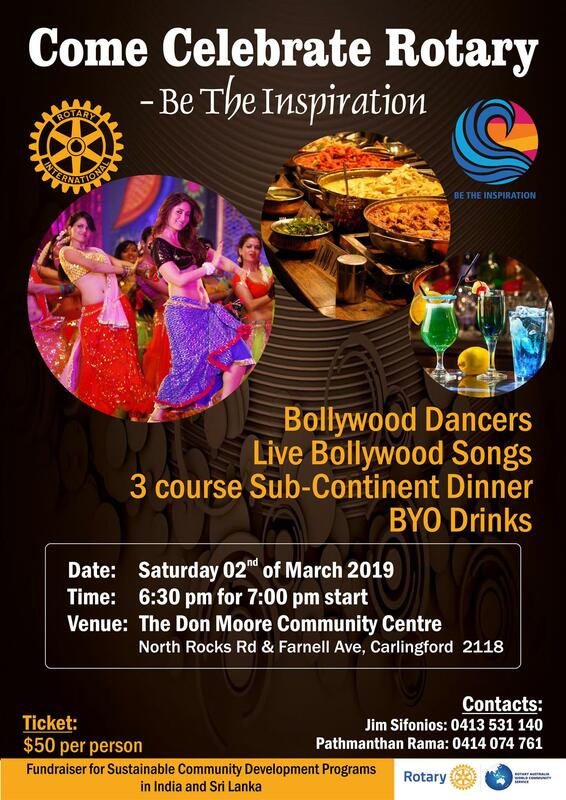 Please click HERE to view - download the ‘Rotary On The Move’ Newsletter for February 2019. Please feel free to share and send us your great membership stories. We are pleased to announce Rotary and Mediators Beyond Borders International (MBBI) have entered into a service partnership to help enhance our club and district peace building efforts. Rotary has worked with MBBI – an impact organization founded on the principle of people-centered peacebuilding – since 2013 to advance our common goals for peace. This new partnership will enable Rotary members to train with MBBI to sharpen their mediation, dialogue and other conflict transformation skills. Mediators Beyond Borders International’s mission is to build local skills for peace and promote mediation worldwide. Recognizing that the only lasting peace is the one built by those involved, MBBI can help clubs and districts advance their peace and conflict prevention/resolution objectives by delivering services and enhancing skills for community assessments, trauma-informed peacebuilding, post-conflict reconciliation and recovery, cross-sector and network collaboration, project design, implementation, evaluation and peacebuilding leadership that prioritizes the elevation of women and youth as leaders. MBBI and Rotary members can work together to save lives today and one day, eradicate violent conflict around the world. This partnership connects Rotarians, Rotaractors, and Rotary alumni with resources to take action, locally and globally. Rotary members play a key role in building connected communities. Connected communities are safer communities, and safer communities are more prosperous communities. Read the partnership factsheet for more information on how clubs and districts can build peace in partnership with MBBI. Connect with MBBI to support a safer, connected, and prosperous world one community at a time. We hope your district will welcome this opportunity to prevent conflicts in your communities; please share this information with clubs in your district. We were sorry to hear that past Rotarian Michael Schwarcz passed away on the 6th January. He was 76. Michael joined Beecroft Rotary early in 1987 and within two years had taken on responsibility as club secretary (when I was president). He was club secretary seven times during his 20 years with Beecroft, and President in 1994-95. In 1998 he was Assistant District Secretary, and District Secretary for three years from1999 to 2002. He was District Trainer in 2002-3. 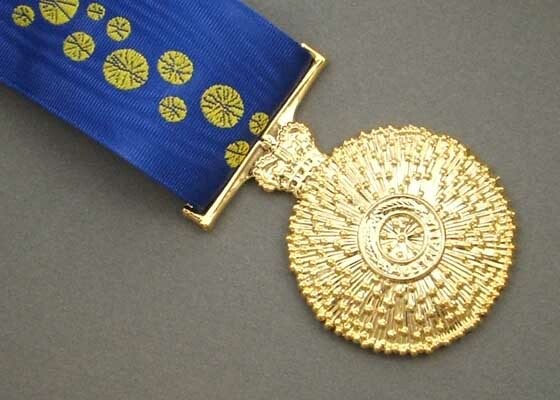 Michael moved from Beecroft to Wahroonga Rotary for three years in 2008, and in 2011 became a charter member of the new Rotary E-Club of Greater Sydney. Where he remained a member until 2017. He served as E-Club Secretary three times and as President in 2012-13. Michael remained active on District committees, being a member of the District Administration committee over the late 2000s, and serving as DG aide in 2011-12. He also served on many subcommittees and was valued as a mentor to many, and as the knowledge encyclopaedia on all matters Rotary. Michael gave a dedicated 30 years to Rotary and we will miss his company, dedication, and huge contribution. A private family funeral was held for Michael, and we send our condolences to Judy and the family.